At the top of Tidar Hill in Magelang, Central Java, a white rectangular monument stands upright with a relief of the mythical eagle Garuda and the Javanese character Sa, which symbolizes the saying Sapa Salah Seleh. 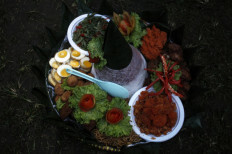 The Garuda is used in the national emblem of Indonesia, and the saying means “whoever has done wrong will eventually lose”. The Magelang community chose the hill to perform a thanksgiving ritual on Sunday with prayers for the continued existence of Indonesia as a united republic. 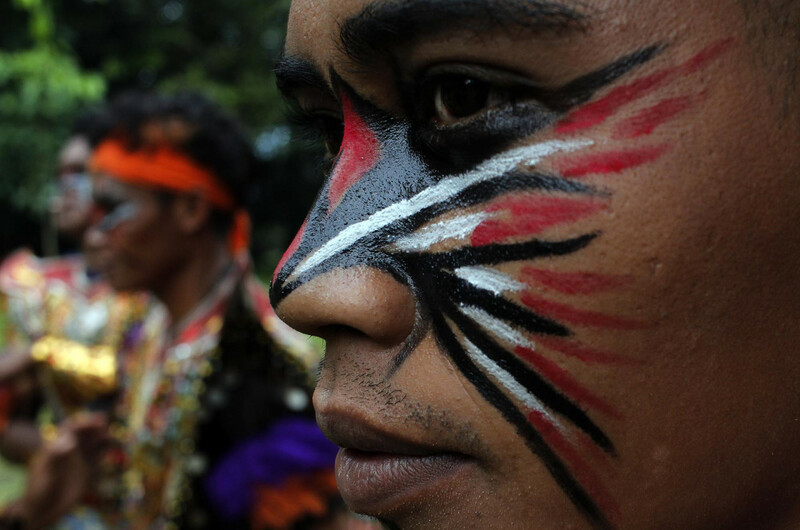 The locals realize there has been a lot of animosity among Indonesians who have been divided into two camps during the months approaching the 2019 general election in April. 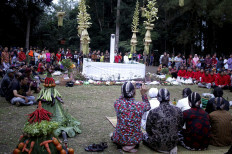 During the ritual on the hill, they earnestly begged God through prayers for peace in Indonesia and the avoidance of any rift within the nation. Locals believe the hill’s monument, known as Puser Bumi, is the central point of Java Island. 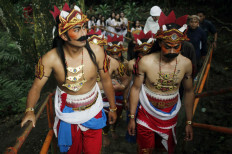 From morning to noon, residents thronged the peak of the hill in their traditional Javanese costumes. Hundreds of red and white rice cones were carried to the hilltop. Around the monument, locals then laid down the rice cones and various fruits. 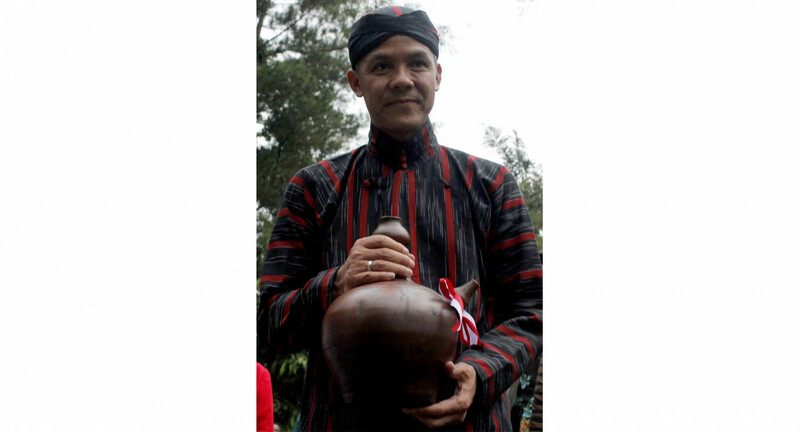 The fragrance of incense and roses enhanced the sacred ambience of the event, which was opened with the soreng dance by Magelang’s Pakis people, followed by the pouring of water from a jug by Central Java Governor Ganjar Pranowo to symbolize peace. Then the gathering of residents offered their prayers from the summit of the hill in Magelang. The clouds over the hill through the afternoon failed to dampen their enthusiasm. 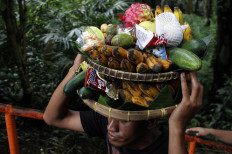 “Indonesia should be united to achieve the goal of creating a prosperous society, which requires a peaceful national life,” said a ritual participant. 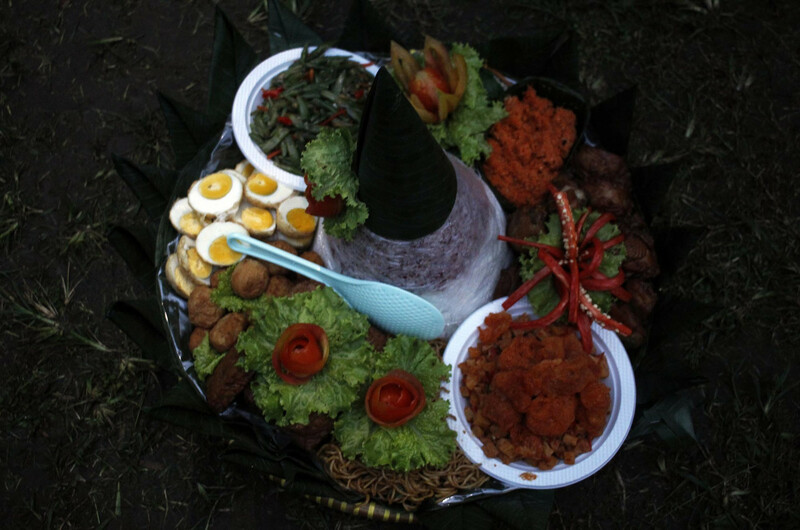 At the end of the prayer ceremony, all those present were invited to savor the food together by distributing the hundreds of rice cones contributed by people from Magelang’s villages, in an amicable atmosphere that reflects their mutual concern.